The Sprush! - Hairlicious Inc. The Truth: I've used the sprush for the past two relaxers (twice) and the results are consistently the same. Woohoo! I love this product. The way the sprush is engineered, allows you to apply the relaxer directly on the new growth with easy without the relaxer going on previously relaxed strands. When I used to relax with a rat tail comb, it was a challenge to get the relaxer direct on the new growth and the new growth only! With the sprush, my application is neat, quick and easy. I've noticed that my application time shortened, so instead of ending my relaxer process at 25mins, I had 5-8 mins to spare leaving me with more than enough time to smooth my new growth, especially my edges and nape (stubborn areas). The sprush did a great job at smoothing my new growth. I did not need a rat tail comb to "comb through" my new growth in order for it to be straight. The smooth surface on the sprush was sufficient enough to straighten my edges, opposed to the teeth of the rat tail comb scratching my scalp. The only downside to the sprush is that the Gold Smoother (the product I purchased) is a bit too long horizontally, so you are limited in the how you can hold the sprush when applying the relaxer i.e. turning it around, flipping it for quicker application. I think that I'll try the Pink (TC2020) and see if there is a difference as it is much shorter in length. 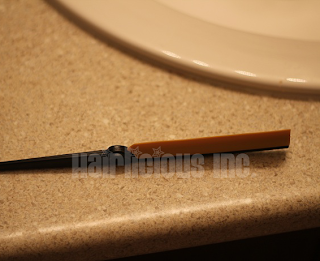 Slim applicator tip allowed pro relaxer to be placed directly on the new growth. Too long horizontally, therefore, limiting the ways you can twist and turn the product for a quicker and easier application. Great review... sounds like a product any DIYer would love!!! I love the sprush. I would never use a applicator brush again!!! The version of the sprush that I use actually looks like a applicator brush and I have about 6 versions in different sizes as the Ebay seller I purchased from sold them in a pack. Its about time sunshyne ive been waiting for your verdict. I love it. I use two during the relaxer process I start off with the green one for application and smooth with the gold. 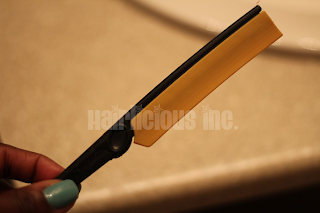 Do you find that you get consistent texture throughout your hair during the last two touch ups that u used the sprung. @Shanni - Honestly, it's great for enhancing the overall relaxer experience. I, too, live in Canada and I purchased it online at http://templeclean.com. The product is cheap and so it shipping. Good luck! @Simply Into My Hair - Same here!! 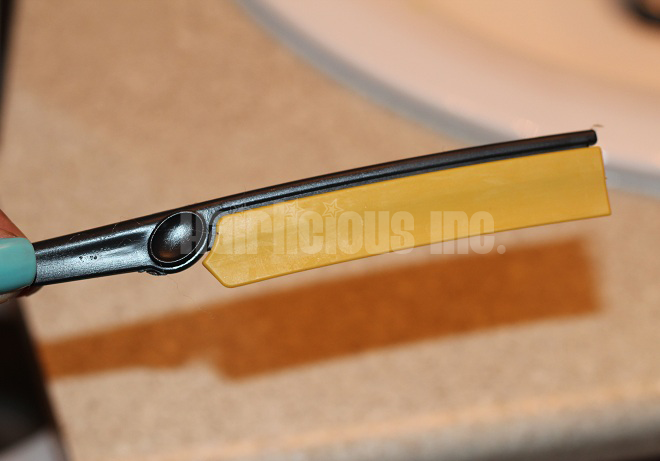 Yes, that's the one I'm looking for (applicator brush style). Thanks for the heads up!! @Dinorah- Oh cool. I never thought to use the gold just for smoothing. Thanks for the tip. I noticed consistent results both times where texture is concerned. That's why I held off on my review. I wanted to make sure it wasn't just by chance.